I don’t care who you are – getting a book published is a pretty damn big, ridiculously-exciting, thrilling and amazingly good thing to happen! Even if you’re the famed Duplass Brothers, who have given us films like Safety Not Guaranteed and Skeleton Twins, and TV shows like Togetherness and Room 104, and can rightly feel as if they accomplished quite a lot in their lives so far. They’re excited, as you’d rightly expect them to be, about their book, the appropriately-named Like Brothers, hitting bookstores and the hands of hopefully-eager readers and their hilariously on-point book trailer (which restores your faith in the fact that book trailers can be very good and well-made things) has a ball showing all that excitement off. See? 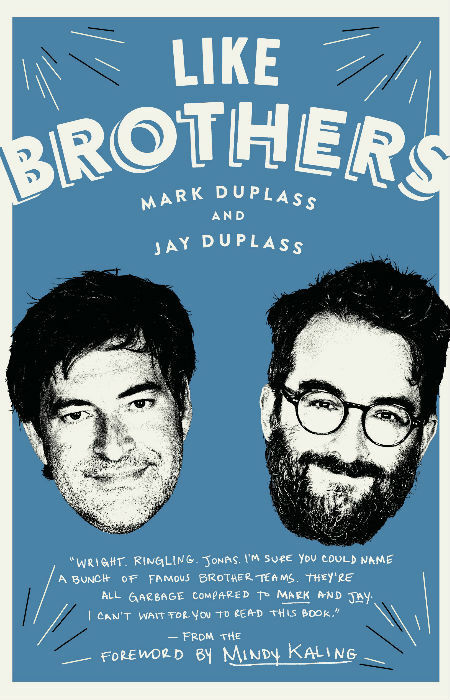 Joyous excitement well and truly justified for the Duplass Brothers and an upcoming good read for pop culture lovers everywhere when Like Brothers is released on 8 May this year.